Lisa Anselmo wraps her entire life around her mother, a strong woman who is a defining force in Lisa's life - maybe too defining. When her mother dies from breast cancer, Lisa realizes she hasn't built a life of her own and struggles to find her purpose. Who is she without her mother - and her mother's expectations? Desperate for answers, she turns to her favorite city - Paris - and impulsively buys a small apartment, refusing to play it safe for the first time. 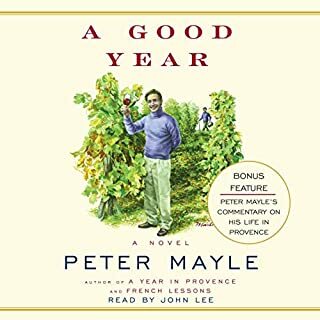 From the moment Peter Mayle and his wife, Jennie, uprooted their lives in England and crossed the Channel permanently, they never looked back. Here the beloved author of A Year in Provence pays tribute to the most endearing and enduring aspects of his life in France - the charming and indelible parade of village life, the sheer beauty, the ancient history. 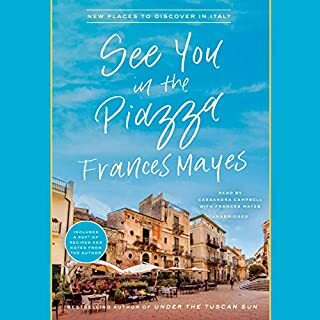 He celebrates the café and lists some of his favorites; identifies his favorite villages, restaurants, and open-air markets; and recounts his most memorable meals. 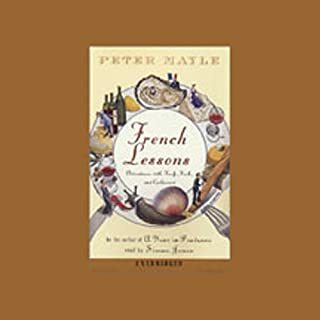 A celebration of 25 years of Provençal living - of lessons learned and changes observed - with his final book, Mayle has crafted a lasting love letter to his adopted home, marked by his signature warmth, wit, and humor. Peter Mayle’s way of spinning a tale brings the reader into his world in a delightful entertaining manner. I’ve enjoyed all the books he has written about his life in Provence. I was extremely saddened to hear of his passing. The narrator ruins it for me. 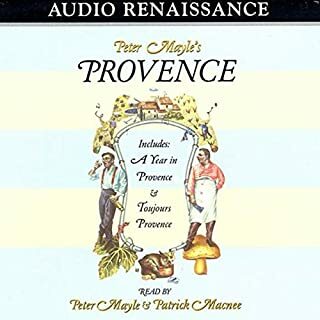 As with all of Peter Mayle’s Provence-centric books, I loved reading/hearing about his take on life in that lovely area of the world..& always find myself hungry & thirsty while in the process. 😄 These books have all entered into my “comfort read” category, & I can - & do - read them over & over, without any loss of enjoyment. I believe this one, though not quite reaching the level of perfection that “A Year In Provence” did, will still be a book I will enjoy reading again. Reading. NOT listening to. His almost South-Scottish accent (doubly bizarre since he was born in Birmingham from Irish ancestry) is decidedly not the one I would choose to read an autobiographical book by a man born in the south of England, raised partly in Barbados, & who then spent a lot of time in London. Even getting beyond the very wrong accent, the strange tempo/pattern of speech spoken in a very forceful manner (as if he’s a lecturer who believes every sentence he speaks is equally as important as the ones that came before - You. Must. Pay. Attention. Here.) is...boring! I would have to switch to other books every 45 min. or so while trying To plow through this one, as my ears needed a rest, and my brain just couldn’t take the same Level of portentousness for each sentence. The near raider sounds gross portentous and pretentious, all at the same time. 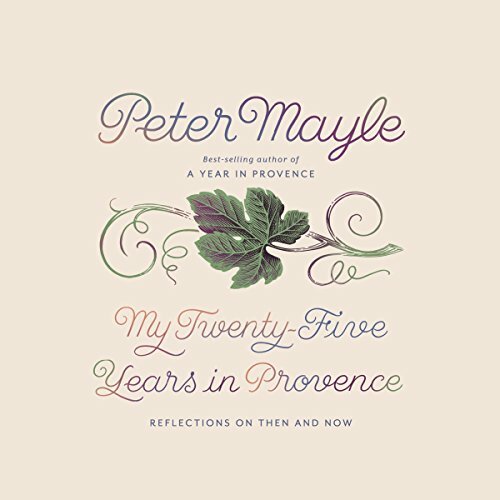 So sad to know that this will be Peter Mayle's final love letter to Provence. Godspeed Mr. Mayle. 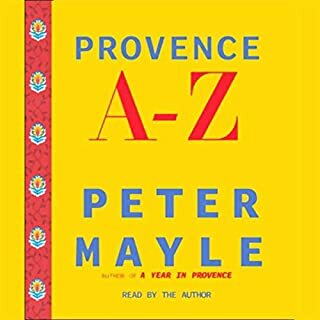 Reading Peter Mayle is like walking through Provence (at least I hope it is...I've actually never been). Parts of "My Twenty-Five Years" were like revisiting a familiar friend, stories from other books and memories. Other parts were refreshingly new. Mayle is so easy to read and his stories always bring a smile. By an adopted "son" who embrace the quirks with love and joy. A summer favorite.